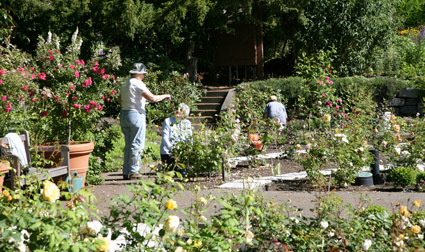 What was originally a small group of dedicated volunteers in the early 1990s, has evolved into The Friends of the Government House Gardens Society (The Friends). With a membership of over 400, approximately half the volunteers work in the gardens, while non-gardening members work in areas such as archives, photography, publications, greeting cards, administration, tours, the Cary Castle Mews and special events. Since their beginning, the Friends have volunteered over 250,000 hours in support of Government House. 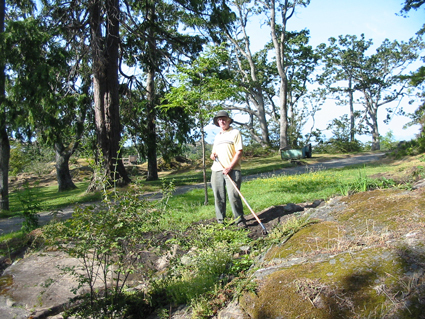 The Friends operate year round with most gardening occurring between March and October. All money raised through memberships and fundraising events is channelled directly back into garden maintenance and improvement. The Friends is a registered, but not a charitable, Society. Members may volunteer for Society activities, but this is not a requirement for membership. The Society is governed by a Constitution and managed by a Board of Directors. Major decisions about the maintenance and improvement of the gardens are made in cooperation with Government House and the Friends.